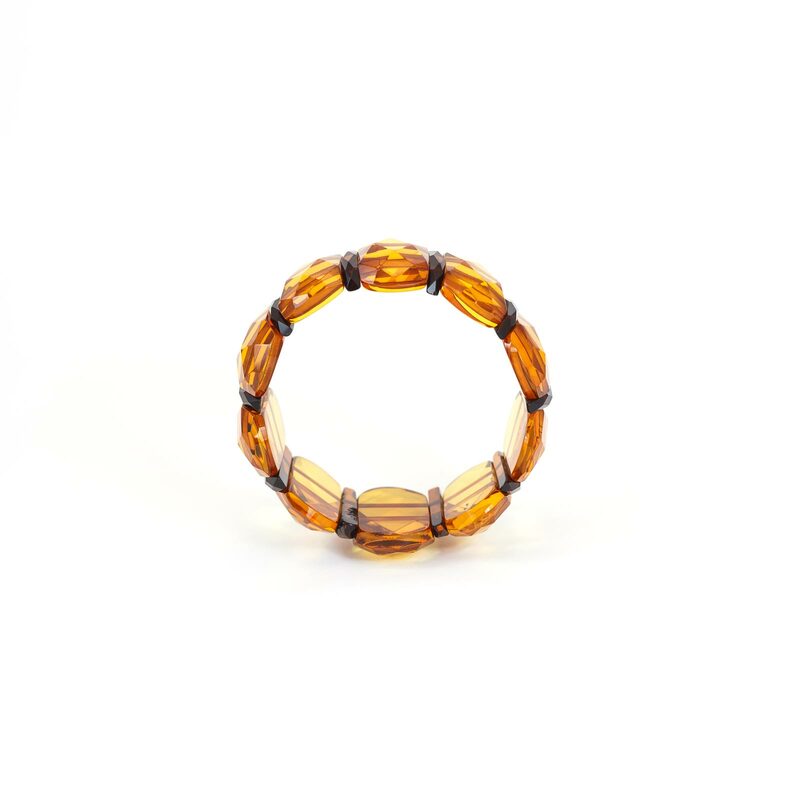 This Natural Baltic amber bracelet is assembled from cognac color natural Baltic amber plates. 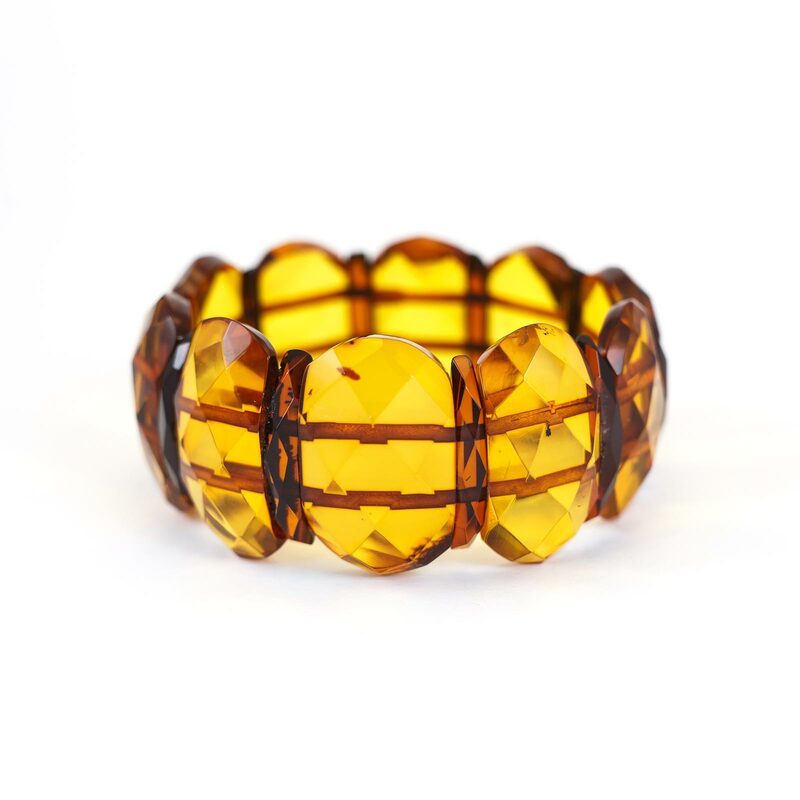 Diamond cut sections makes the bracelet sparkle in the light, scattering around hundreds of bright highlights. 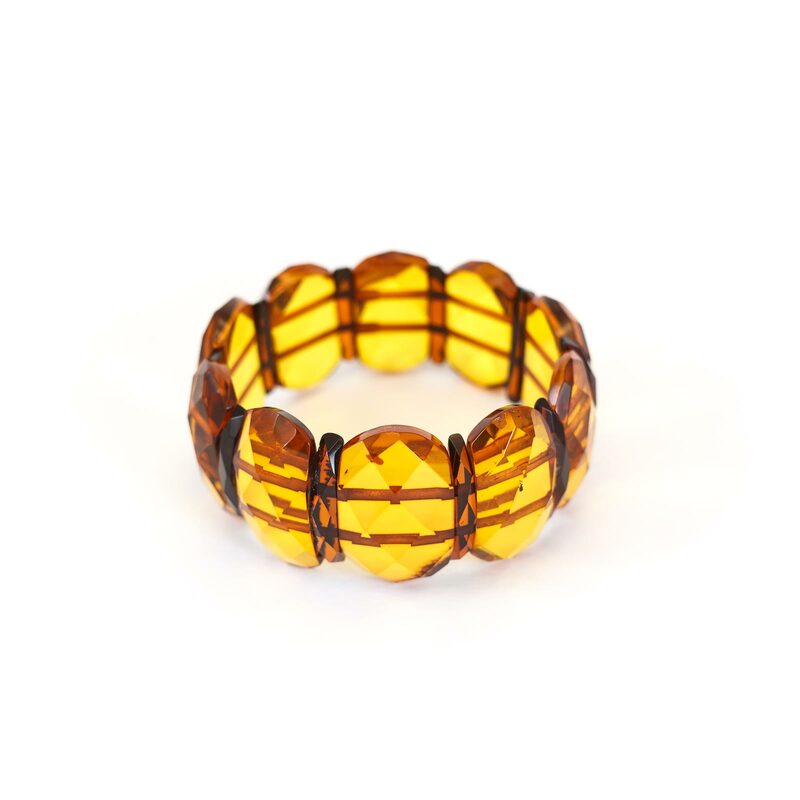 This amber bracelet will be your indispensable helper for creating a sunny mood for yourself and everybody around you. 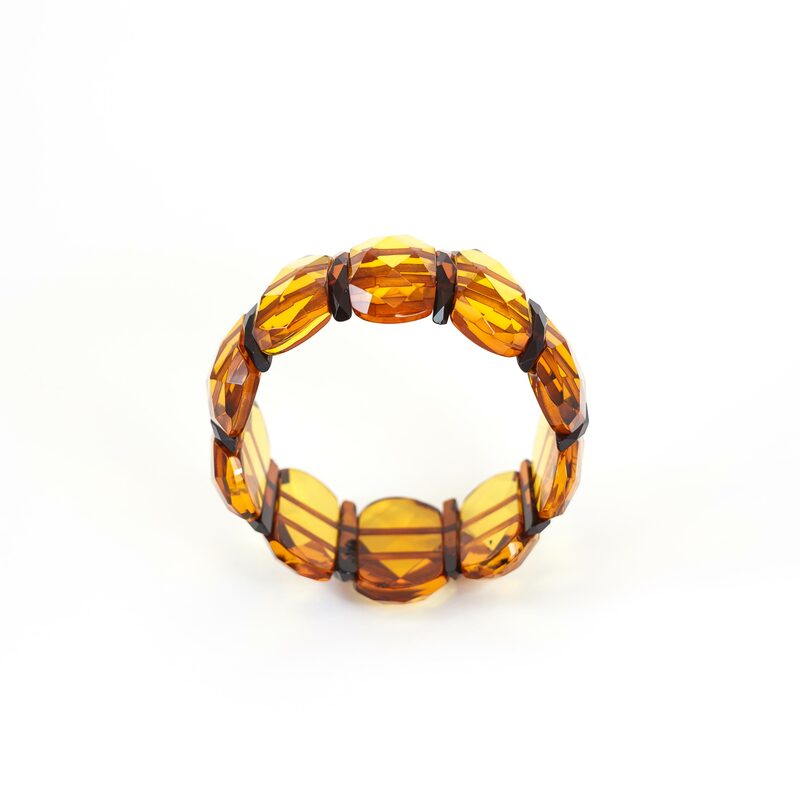 Since the amber is assembled on an double elastic band, it’s comfortable to wear on the wrist of any size from 16.5 to 18 cm.